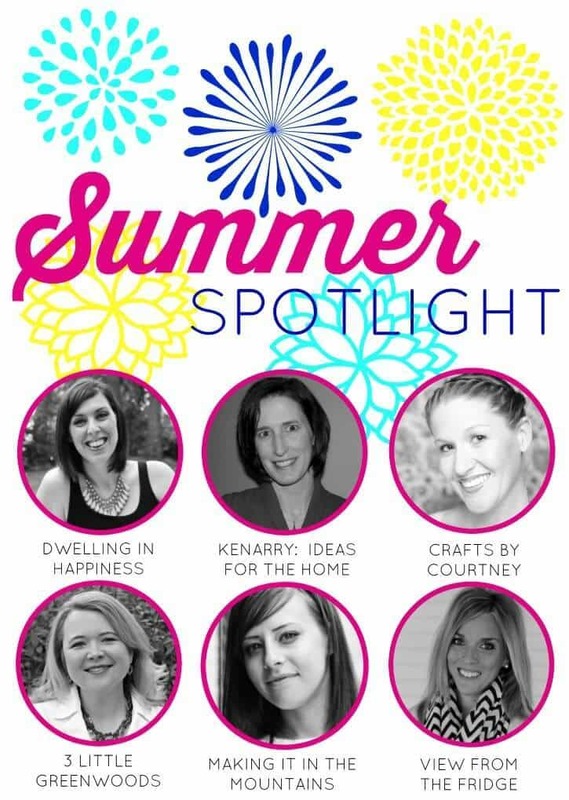 I know summer is over but we are holding onto the season just a little bit longer so we can wrap up our Summer Spotlight series of fabulous bloggers. This week I’m excited for you to meet Katie from View from the Fridge. She’s amazingly talented and full of so many great ideas. You’re just going to love her! Hey friends! 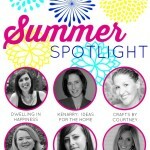 Amanda from Dwelling in Happiness here, shedding some light on one of my fabulous Summer Spotlight co-hosts: Katie from View from the Fridge! 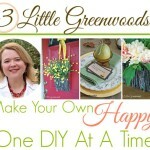 I found Katie’s blog just shortly after I had started mine. I stumbled upon her adorable easy 5 minute DIY fall wreath, and after looking around at all she has to offer, I was hooked! 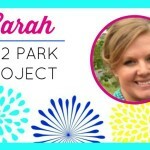 Katie shares some absolutely adorable and fun crafts on her blog, as well as kid’s crafts, room reveals and updates, party ideas, and even some yummy recipes. She does it all! Katie has 3 of the absolutely cuuuuutest boys around; Owen, Charlie, and little baby Ben. Katie’s an amazing boy mom because honestly, I’d go crazy having that many boys around! She’s married to her hubby Matt, and they all currently live in a suburb of Minneapolis. Aren’t they the cutest little family ever?! 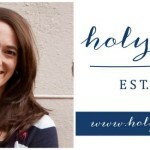 Katie is a full time stay at home momma and a blogger, but boy does she have amazing talent! If you’re wondering why her blog is named “View from the Fridge,” it’s because when she and her sister were kids, they used to love sitting on top of the fridge. So cute, and I love that her blog is uniquely named after something from childhood! Okay, so onto Katie’s fabulous talent. Choosing just a few things to share with you was so. incredibly. hard. I don’t think there’s a craft or idea from her that I don’t like. I will say it did take me foreeeever to go through and pick my absolute fav’s though, and I hope you enjoy them, too! Thanksgiving really is right around the corner, and I just fell in love with this darling DIY Thanksgiving Art. I love how simple it is, and it’s such a beautiful saying! And really, you could leave this up year-round. Who says it has to be for Thanksgiving?! 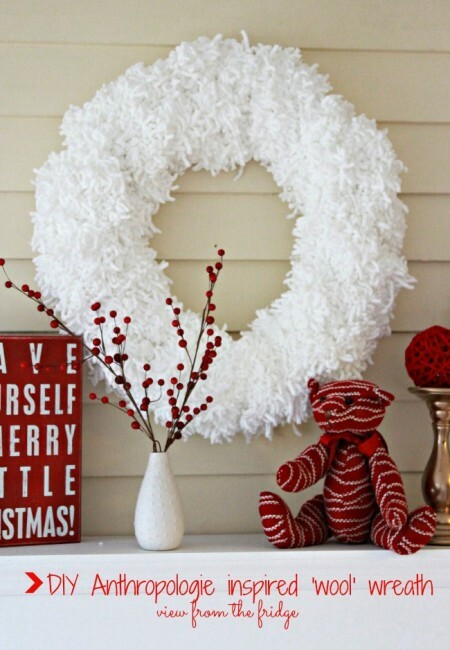 And speaking of holidays, this gorgeous white wool wreath Katie made is an Anthropologie knock-off; and it’s my new favorite wreath!! Isn’t it perfect displayed for Christmas? Or all winter long? I will be making one this year, you can count on that! What I also love about Katie is she knows how to sew; definitely a talent I lack! 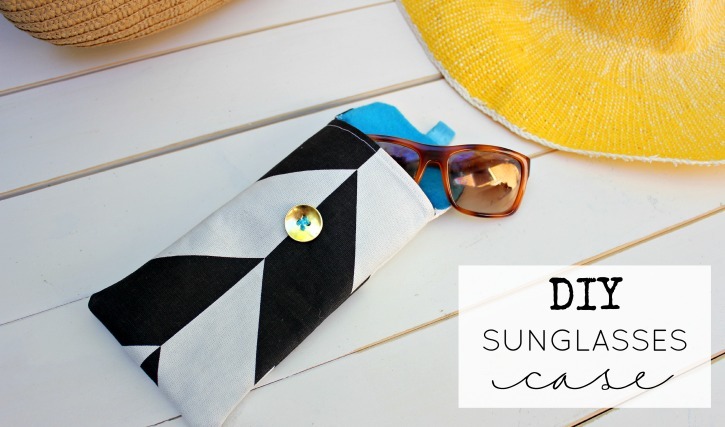 But this super cute DIY sunglass case I might actually be able to make. It’s such a cute way to store your sunglasses and keep them safe! 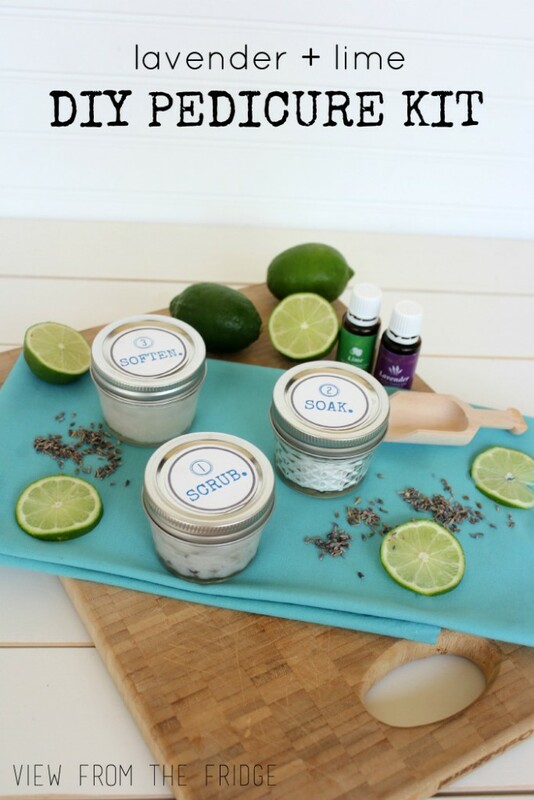 Another way to get chemicals out of your home is to throw out your store-bought dryer sheets and make these Homemade Dryer Sheets from Katie instead! 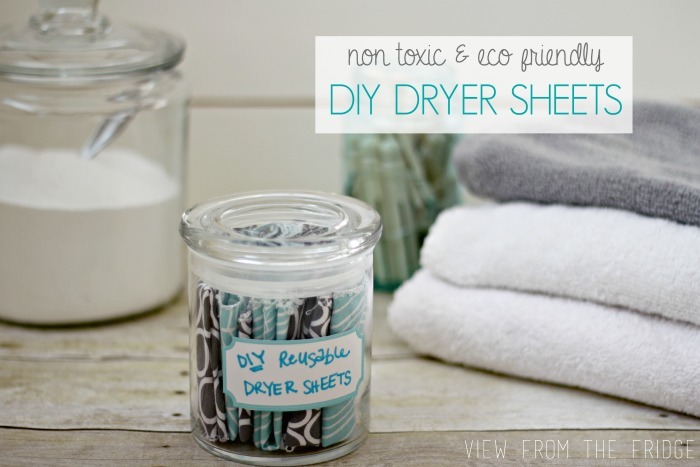 It’s not only easy, but I had no idea just how many chemicals were in a thin little dryer sheet. I’ve switched over to these now and they’re all I use! And with only 2 ingredients, it’s even better! 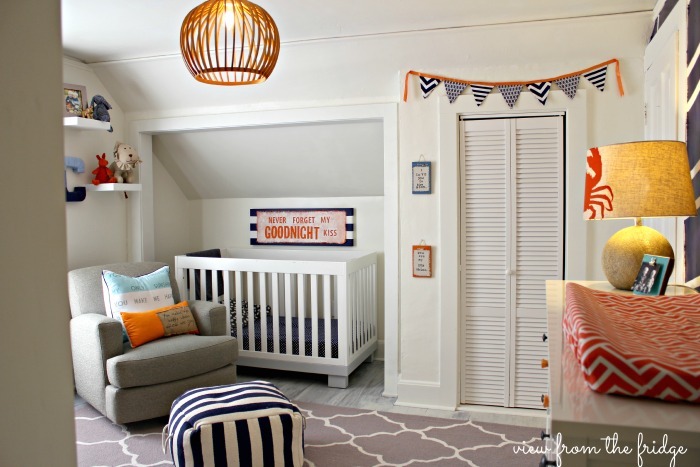 I absolutely love this Shared Boy’s Room Makeover that Katie finished for the One Room Challenge. It’s one of my favorite room makeovers that she’s done. I just love the fun herringbone wall she painted, the bright accent colors, and the whitewashed wood floors are gorgeous. I WISH I could pull up my carpet and find hardwood like that! I’m so impressed with their use of space in this room, too, and I bet her boys just love it! 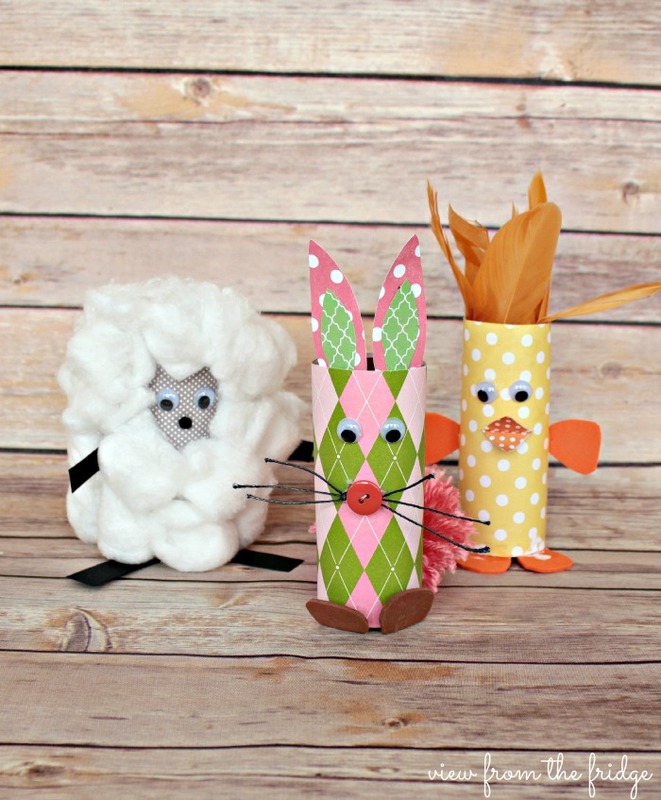 Katie also has some fun craft idea for kiddos, and these little toilet paper roll baby farm animals are just TOO CUTE! What a fun craft to get the kiddos involved with, and they can make their favorite animals! My little one would totally love this, so I’m saving this idea (and some T.P rolls!) for a rainy day! Need a fun birthday party idea for a little boy? Katie’s got you covered! 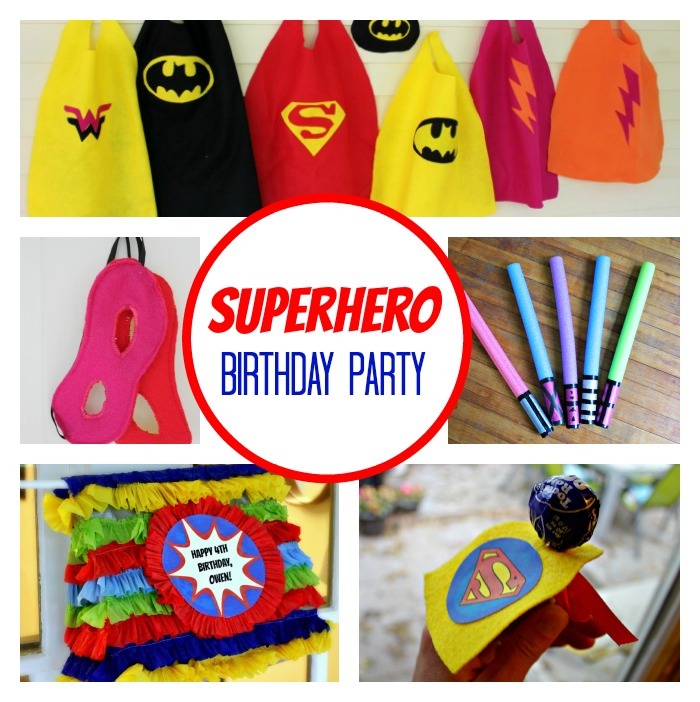 She threw her little guy this darling superhero birthday party, and I just love all the details! She made cute little capes out of felt, light sabers out of pool noodles, and felt masks, too! I don’t have a boy, but if I did, I’d totally be throwing a party like this. 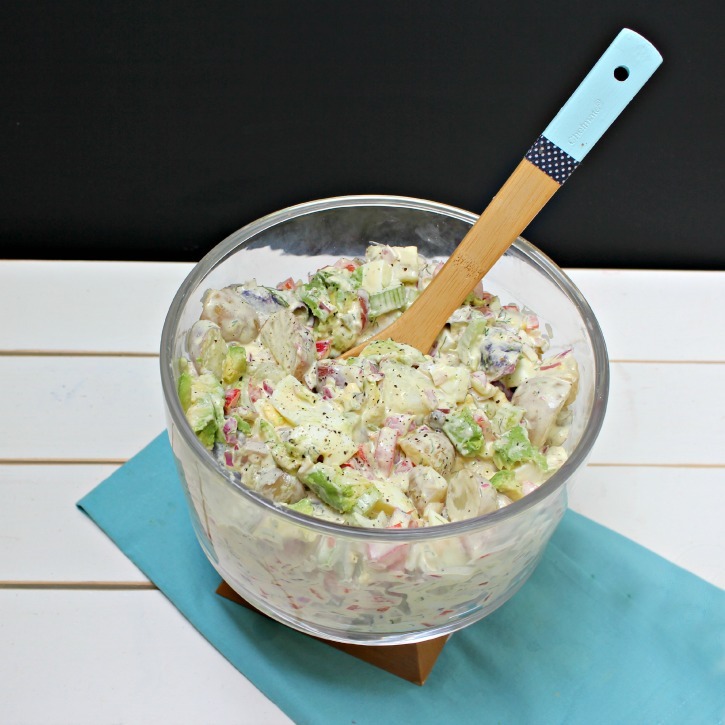 I’m a huge avocado fan, and this avocado potato salad sounds delicious. Such a perfect and healthy dish to have during the summer. But since I’m such a potato AND avocado fan, I’d make this year round! My most favorite thing about Katie is that she’s real. She’s down to earth. Her Crumbs and Chaos: A Real Life Tour shows just that. 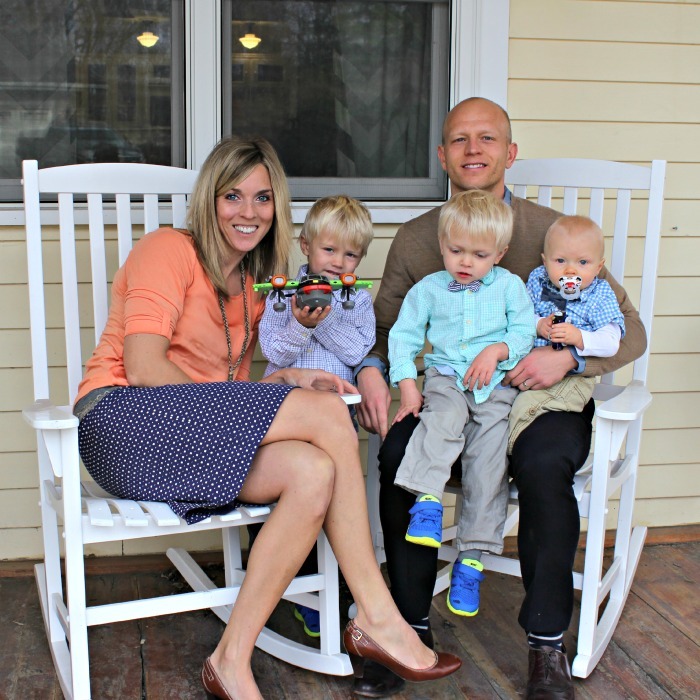 She shares about what a day in the life is like at her house, with 3 kiddos and all! 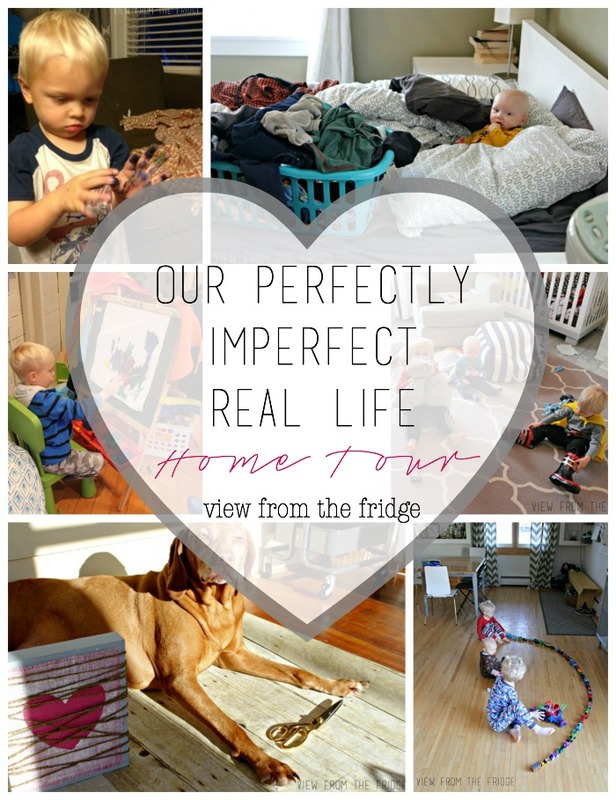 I can totally relate, as I feel my house looks just like that all day, too (and I only have ONE kiddo!)! If you’re loving what you’ve seen so far, you’ve got to follow Katie below on social media to keep up to date with all she creates! 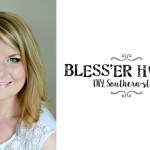 If you enjoyed this feature about Katie from View from the Fridge, you may want to check out the other bloggers we’ve featured in the Summer Spotlight. You can also visit our Summer Spotlight Pinterest board to view all the great ideas we’ve shared in this series. 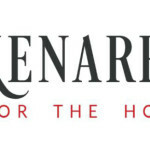 Holiday Thrift Store Swap Coming Soon!